Welcome to Knit Knowledge Week! I’m asked questions about working with knit fabrics really often, so I thought I’d spend a week sharing some of my knowledge with you. I’m quite certain that I don’t know everything there is to know about working with knits, and I still occasionally discover a new technique that works better than what I was doing before. Everything I’ll share is what I’ve learned through my own hands-on experience. My plan is to spend the week sharing a bit each day. Here’s the lineup that I have planned: Monday: Knit Overview, Tuesday: Interlock Knits & Jerseys, Wednesday: Ribbed Knits & Ribbing, Thursday: Hemming & Simple Applique, Friday: Questions & Answers and the Giveaway. This week will require some participation from you, too. In order for me to have a Q&A on Friday, I need you to post any questions that you have in the comments section Monday through Thursday. Then, I’ll choose as many questions as I can and answer them on Friday (if I haven’t already answered them during the week). Friday’s post will also include an exciting giveaway! Caroline at The Fabric Fairy has generously donated a $20 gift certificate that you can use in her store to purchase some knit fabrics from her incredible selection to try out for yourself. Just comment on my posts Monday through Thursday (one comment per post, please), and I’ll hold a random drawing on Friday morning. Alrighty, let’s get started with a quick overview. First off, don’t be afraid of knits! Knit fabrics, primarily cotton and cotton-blend knit fabrics, are what most of us live in! Once you become comfortable sewing them, you’ll be ready to sew up whole wardrobes of comfortable clothing that you and your loved ones will love to wear. Simply put, knit fabrics have stretch. Some, like sweatshirt fleece, have only a little stretch. Others, like cotton ribbed knits, have a whole lot of stretch. The stretch in most knit fabrics runs across from selvage to selvage. When you place your pattern pieces on knit fabrics that show grainlines rather than direction of stretch, you generally want the grainline to run perpendicular to the stretch. Before working with knit fabrics, you’ll want to switch out the regular foot on your machine for the walking foot. 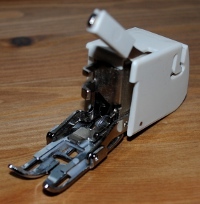 Your sewing machine has “teeth” that guide the bottom of the fabric under the foot while the needle sews. A walking foot has similar teeth that grip the top of fabric so top and bottom pass through under the needle evenly. 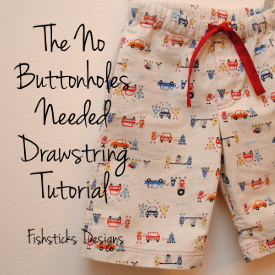 This feature helps a great deal in cutting down on the amount of puckering that you’ll see in your knit fabric seams. It’s also a good idea to switch out your sharp sewing machine needle for a ballpoint needle. Sharp needles cut through the knit loops on your fabrics and leave the fabric with small holes which tend to grow larger as the garment is pulled on and off. Ballpoint needles are designed to glide through the loops instead without causing harm to the fibers. Knit garments sewn with ballpoint needles will hold up much better over time. 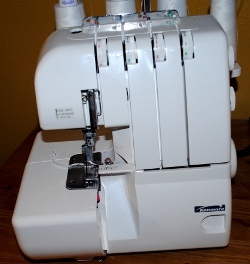 The third tool that I think is worth mentioning is a serger. It’s a bit of an investment, and you definitely don’t needone to sew knit garments. (All of my patterns include instructions for sewing with a regular sewing machine, as well as a serger.) However, if you’re planning to sew a lot of knit garments, a serger will give you a nice finish to the inside, as well as a sturdier finished item. Once you get the hang of using a serger, you’ll also find that serging together a piece of clothing is much faster than sewing! Oh, one more thing! As a thank-you for joining me this week, I’ve added a 20% discount code that you can use on any of my patterns through Friday: KnowKnits. « Happy 1st Birthday, Charlie! Great overview! I second the serger and ballpoint needles, but so far haven’t invested in a walking foot (one day). I have a question: Recently I sewed a maternity top for myself out of a lightweight jersey knit. It came out beautifully, except for the shirt hem and sleeve hems, which always flip up. Is there any way I can remedy this? I just serged the edge, turned it up 1/2″, and topstitched it, as per the pattern. What a great topic! I never considered using my walking foot for knits. I just may have to try mine next time I sew up some knits. That is, if I can find time between study sessions! I like wearing knits because they are comfortable and stretch to my body better without irritation. I’m looking forward to learning more about sewing with knits. Your clothing always looks so good. My favorite thing about wearing knits is comfort. Nothing like a comfortable t-shirt or my knit pj pants. I also like wearing and dressing my kids in knits is because they look good right out of the dryer or off the line. No ironing needed. I love how forgiving knits are. If I’m sitting all day, they don’t get wrinkles, and if I over indulge one night, my clothes (usually) still fit the next day. Knit fabrics are so versatile. Always nice to have a bit of stretch in my clothes! Thanks for this series! I’ll be reading each day! I have a tip though! If you don’t have a walking foot, but your machine has manually adjustable presser foot tension control and a teflon foot, you can still sew knits easily! I adjust my presser foot tension to 0 (so very little force down onto the fabric), adjust my stitch length to 3 or 3.5 (out of 4 on my machine) and use my teflon foot. Hold the thread at the back as you get started to help it start moving along and you have nice neat topstitching on knits! Hope that helps someone! Oh and my reason for loving clothing from knits: Simple… they’re comfortable and forgiving! Doesn’t matter if it’s my regular shirts or pants, maternity tops, or clothing for rambunctious toddlers, it’s just so comfortable and forgiving! I’ve been hoping to make a few knit dresses for my little one. So glad to see this series! I have a question – Is cotton Velour a knit as well? I made a shrug for my daughter and the ends were rolling like anything. I remedied that by adding a pleated woven trim all around the shrug. It gave it some weight and stopped the rolling. I am wondering if cutting it a different way might prevent so much rolling. Thanks! I am very new to sewing with knits and I’m wondering, how do you serge around corners without stretching them out of shape? Ah, my serger. How do I love thee, let me count the ways! You forgot to mention that having a really great pattern does wonders too! Thanks for the tips. Even though I have tons of experience sewing, I have very little experience sewing knits. I think your series will help me get over the fear I have of knits. I love wearing knits but finding good knit fabric is not always easy. I’d love to learn how to do a blind hem on the serger. I’ve tried but I just can’t seem to get the tensions right even with using my manual as a guideline. I’d love a picture heavy tutorial on this! I love how comfortable knits are to wear and I LOVE that they don’t wrinkle! Thank you so much for doing a week of teaching about knits!!!! I have a question too. Can you explain how to use woolly nylon in a bobbin of a sewing machine? I’ve heard it helps with keeping hems from popping but I’m not sure if I have to hand wind it or if I can wind it using my machine. Also, I’ve heard that it’s good to topstitch using a narrow zigzag, but my machine can’t adjust the stitch width. It’s a very basic machine and can only do straight stitch, zigzag and 3step zigzag. What would be the best way to topstitch with these options? Great information! I don’t have a walking foot and wondered if I could use a roller foot instead. I like Leigh’s idea of using a teflon foot since I have a machine with adjustable presser foot. I’ll be following along closely so I can learn more ;-). I am so excited to read your blog all week! I am trying to choose my first serger, and I have a lovely pile of knits all ready to go. I would love to hear your advice on how to go around curves without stretching out the fabric. Curves and corners are scary! Thanks for the walking foot advice! I’ve been on the fence about getting one but this is a push in the right direction. 🙂 I love how comfy and “bouncy” knits are to wear. I’m loving this theme because knits intimidate me so much! Thank you so much for sharing your knowledge with us! I’m looking forward to learning new tips, and tricks, and the things that people learn the hard way. I love sewing with knits because they seem to be very forgiving. My question is how do you get good results with a swimsuit type fabric? Or 4 way stretch? I have such a hard time getting the seams to line up and stay put when I’m serging. They seem to get pushed out of the way by the pressure foot, and then either the top or the bottom fabric gets stretched out compared to the other one. Any tips??? I have a question about hemming also. I use spray starch but it doesn’t always work. I’ll wait and see if it’s answered! I love knits because of the comfy factor. Lots of stretch and softness. I love knits because they are so comfortable! My children love when I make them clothing with knits because they are so soft against their skin. 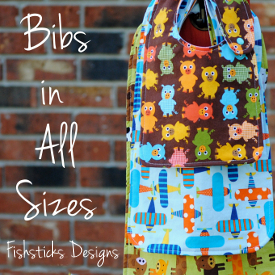 Your patterns are so great to work with too, Bonnie! I’m really excited about this series. I have knit fabric, but haven’t sewn with it very much. I have some knit fabric I got from the thrift store (where I get most of my knits). The fabric comes in “tubes” not sure how else to describe it (it doesn’t have a noticeable seam where the tube is connected). Is there a specific reason it comes and tubes and is it a certain kind of knit? I’ve never seen knit fabric come like that. I love knits since they fit so well and last much longer than a woven counterpart. Plus, they feel so soft on the skin. 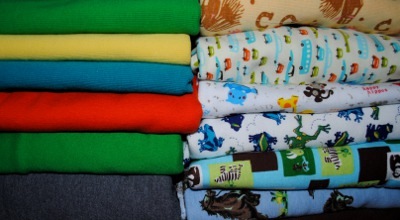 My boys love to go to the fabric store and pick out knits for me to sew clothes for them! Knits are what really got me into sewing. 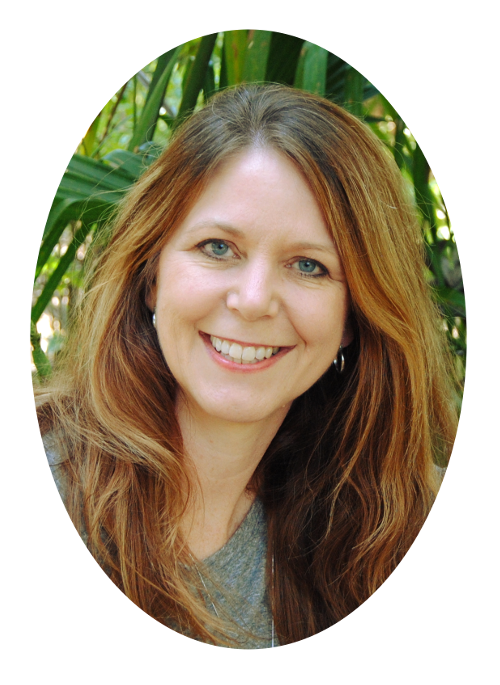 I love wearing soft, comfy knit garments and that is what I enjoy sewing most. 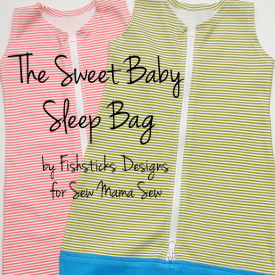 Usually, I sew stuff for my kids, once in a while for my husband and rarely for myself. I love that my family loves the stuff I make (for the most part). So, I guess in answer to your question, I like to feel comfortable and am a casual dresser so that is what I love about knits. I’ve never ordered from Fabric Fairy before but I do go and drool over there from time to time. If I won that gift certificate I guess I’d have too! What a treat! I have recently discovered my love of sewing with knits. I love the comfy factor. I love knits! I had worked with them LOTS when my oldest was little (17ish years ago) and found the love again with my new crop of littles. I look forward to your series to see some of the finer details I may have forgotten over the years! My favorite thing about wearing knits is that they are much more comfortable to wear with movement…wovens just don’t have any give and aren’t as comfortable! 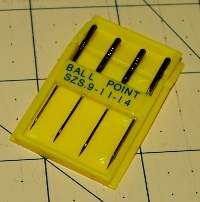 Do you switch the needles on your serger to ball point needles as well? I love the different ways to hem knits, and the fact that knits don’t fray! Great overview! There’s so much to learn, your pictures and descriptions make it very clear. I wish I had this info when I popped into joann’s recently! I’ve never had a lot of options I usually up cycle knits, and Fabricland has terrible selection. I know my boys would love some shirts of the go with the flow polar bears, or some of the cars. I too love knit clothing because it is soft and comfy and doesn’t need ironing! My mama belly squish doesn’t bind. So comfy! I love knits, especially for young children. They are so comfy. I never would have thought of using my walking foot to sew regular knits. I love the softness of knits (I have sensitive skin and am picky about what fabrics I choose to wear). Plus knits have the added benefit of not needing ironing (most of the time). My favorite knit type is sueded cotton. I’ve never actually found a place to buy such a fabric, but both my husband and I have some shirts that say that on the tag and they are so, so soft. I enjoy knit clothing for my family mainly because it is comfortable. My favorite thing about knit clothing is how comfortable it is! And I don’t have to iron it constantly. Hehe! Intolerance respecting other people’s religion is toleration itself in comparison with intolerance respecting other people’s art. I inherited a Juki srgeer late ’80s model. I enjoyed the class I took. The instructor could adjust the srgeer for any application, but.when I got home, I simply couldn’t make it work. I have never been so frustrated!! I got rid of it and didn’t replaced it. I still think about it, though . . . And I, too, have several good books. What kind is yours? so i tried to just use my serger for a t-shirt and it seems to be pulling apart at the seem…could my tension be wrong? before now i just used my sewing machine. I was hoping to switch. Thanks for the tip about changing to a walking foot and ball point needle to sew knits. I’m trying to gather as much information as I can about knits so I can get started on making a Waldorf Mermaid Doll for my nieces. The instructions say to use an interlock knit and was wondering if a cotton knit would serve just as well. Can I use a cotton knit?? Hi, Linda! 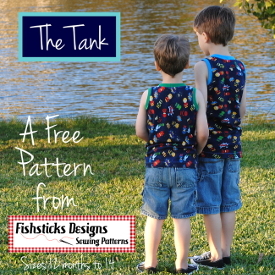 I think you’ll want to use a cotton or a cotton/polyester blend interlock knit. I would avoid jerseys or ribbed knits for making a Waldorf doll. What adjustments, if any, do you make if the pattern calls for knit fabric and you want to sew it out of woven fabrics and visa vera (sew pattern met for woven fabric but you want to use a knit fabric.? I often find the result is that my garment ends up the wrong size. Is there an adjustment to the pattern depending on the fabric you plan to use or is this a no-no? Knits are expensive…what is the best ones for a child’s garment? Stretch varies, can you address how much stretch is a must for children’s garments? determining which side is which?